I hope everyone is doing well. I’ve had a few problems this week with my new camera – uploading then converting my photos. I’m still trying to resolve the issue, so I can post what I originally intended to. In the meantime, I thought I’d share how to make Homemade Peppermint Bark. I’m sure many of you have made this before, but it’s always been a family favorite. It’s quick and easy to create, and even the kids can help. Plus, it makes a great gift that everyone loves. Every Sunday evening both of my kids come over for dinner, assuming everyone is in town – it’s typically Steak Night. I go all out and make all their favorite dishes. Last night though was my test night…..I made an Herb Crusted Beef Tenderloin with Maple Glazed Butternut Squash, Mashed Potatoes with Celery Root and Peppermint Bark. 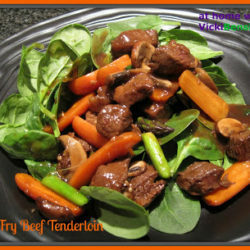 My intention was to share the Tenderloin with you today, a dish I often make, but since I’m having issues with my camera it’s going to have to wait. The veggies I was testing out for Thanksgiving to see if my crew would give them the thumbs up or down. I’ll share that with you later when I post those recipes. In the meantime – if you’ve never made Peppermint Bark, what are you waiting for? It’s so satisfying, and in the opinion of everyone in my family, it’s the perfect ending to a perfect meal. If you’re not a fan of peppermint then add dried fruit and/or nuts. Instead of peppermint extract use orange or lemon to compliment your toppings, and if you’d prefer to omit one of the chocolates, go for it! That’s the best part about being the cook – anything goes! Here’s my recipe for Peppermint Bark. I hope you’ll try it! Line a 9.5 x 13” sheet pan with heavy duty foil so it extends over the edges. Microwave the semi-sweet chocolate chips for 1 minute in a microwavable container. Stir. Then microwave for an additional 30 seconds. Stir until chocolate is very smooth. Add approximately ½-1 teaspoon of peppermint extract to the chocolate and stir to combine. Spread chocolate out evenly using an offset spatula into the sheet pan, covering completely so all sides meet the edge of the pan. Repeat the same step only using the white chocolate chips. Once white chocolate has been in the microwave and smooth, pour and spread evenly over the melted chocolate into the sheet pan, spreading to cover semi-sweet chocolate and entire pan and edges. Take crushed peppermints and scatter all over the top of the white chocolate. With another sheet of heavy duty foil gently cover the white chocolate with the foil pressing gently against the chocolate and mints, pressing the mints ever so slightly into the chocolate. This helps to secure the peppermints to the chocolate so they don’t fall off once chilled. 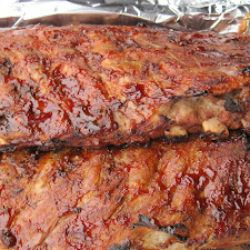 Place sheet pan in the refrigerator for at least an hour. Then break into pieces and serve or store in a plastic bag until ready to eat. I made bark for the first time last year and couldn’t believe how easy it was. thanks for this bark recipe! How can you beat white AND dark chocolate AND mint! YAY! I agree! Yet for those that are fans of peppermint and I know quite a few who aren’t you can easily add dried fruit and nuts with a touch of orange extract or whatever you fancy. Can’t believe it’s so easy to make! They are so festive and beautiful! 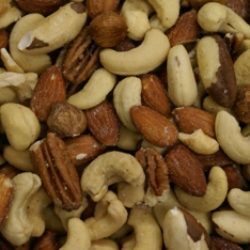 So easy, you could literally make batches daily. As a blogger you get to learn all these unfamiliar treats. I promissed to make this last year and I never got around to do so. This is a sign, gotta know what peppermint bark tastes like. 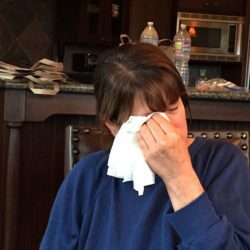 Thanks for sharing Vickie! It tastes like chocolate with a peppermint flavor and peppermints on top. However, it’s more than that and so addicting. If you’ve never tried it you should make some. Of course once you do you’ll be coming up with so many variations. Dear Vicki, I hope you work out the problems with your camera. I simply am not good at technical difficulties!! I must confess I never made peppermint bark, though I think it would be a nice finish to a meal, refreshing. I agree the fun of cooking is there are no limits to the imagination. Oh Catherine, if you’ve never made it please try it. It’s so incredibly easy and delicious. You’ll find you’ll want to gift it to everyone you know. I can’t believe that we don’t make peppermint bark more often. I love the flavor, and it’s so good. Yours looks wonderful. Sorry to hear you’re having problems uploading pictures to your computer – what a pain not to be able to access the pictures you’ve shot! You and the Mrs. should definitely make some this holiday. It’s just too good to pass up. Thanks for you camera help. I found a tripod that works on my camera at home but need to get a larger one. I’ll have to head over to Shillers or CC Camera or go online. This is such a great dessert for Christmas! This looks so gorgeous and tasty! 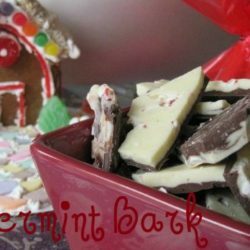 I love Peppermint Bark and they are just so much fun to eat especially around the holiday. 🙂 thank you for sharing. I hope you’ll make some with your kids. Everyone loves it. Oh definitely if you’ve never made it before you owe it to yourself to make some. It’s so easy you could almost make it with your eyes closed. Beautiful! Awesome for the holidays! Thank you I hope you’ll try them. I can eat my weight in this stuff! Looks so good Vickie. I know it was the perfect ending for your wonderful dinner. What a fun tradition to have dinner with your grown kids every week! I’m sure they really look forward to your delicious food! I’m unstoppable with this stuff around the holidays! It hardly makes it into the bags I intend to give as gifts, hah! Wonderful Christmas recipe, Vicki. Tell me about it. The holidays haven’t even started yet and I’m feeling like a blimp! You may find me at your doorstep one Sunday! What a feast!! And peppermint bark is part of our Christmas tradition, too…I have to make mine with white chocolate only. I like white chocolate but the rest of my family doesn’t so I combine the two. I’m sure the straight white chocolate makes for a beautiful canvas to whatever you add to it. Have a nice weekend. what a pretty inspiration to start off the season..! just beautiful nice job! Thanks Claudia. I hope you try this, it’s delicious! hope you can solve the problems with your camera soon. 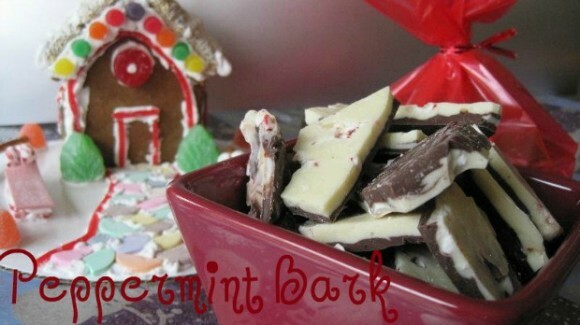 Meantime I’ m enjoying your peppermint bark recipe very much, it sounds so good and tempting, perfect for the Holidays! It’s perfect for the holidays or anytime. I hope you’ll try the recipe. They both sound terrific and since it’s so easy to make I’d do both. I love peppermint bark…it is such a family favorite for the holidays! Yours looks beautiful! Why wouldn’t your kids show up for dinner at your house? Such a wonderful menu…I’d come if you invited me! You’re invited anytime. I love Sundays when we’re all together. It’s the best! Come to mama delicious peppermint bark!! 🙂 Yum! !